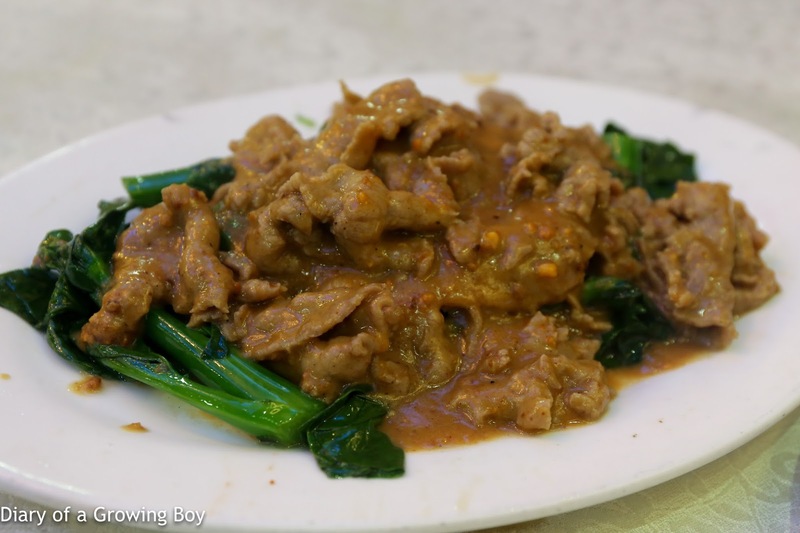 Ro Ro wanted to get together this weekend, and when her top two restaurant picks were both unavailable thanks to the last-minute nature of our gathering, we found ourselves at Sheung Hing Chiu Chow Restaurant (尚興潮州飯店). 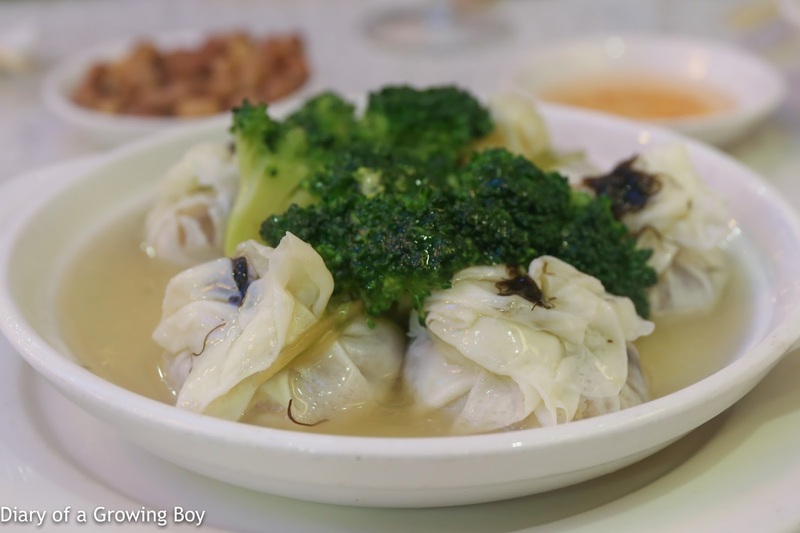 This is undoubtedly one of the most famous and classic places in town serving Chiuchow cuisine, and it's been quite some time since I last paid them a visit. Eel wrapped in pouch (荷包鱔) - this was my first time tasting this classic dish. I normally don't care for the eel at Cantonese restaurants because there's always that strong muddy flavor, and the muddiness was still there tonight, but at least there was plenty of pepper in the soup to counter that. 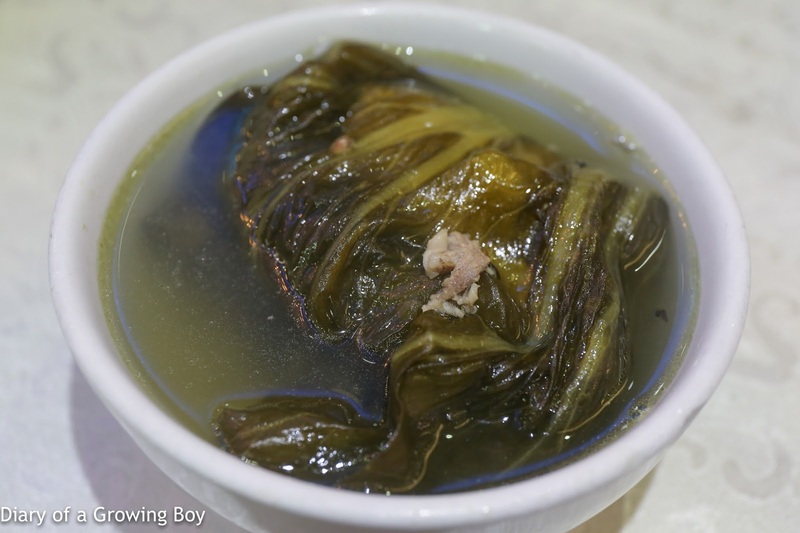 Wrapped inside the large piece of pickled mustard leaf (咸酸菜) were diced bamboo shoots and shiitake mushrooms. Pretty interesting, and I'm glad I finally tried this dish. Sliced marinated goose (滷水鵝片) - these were OK.
Stir-fried beef in satay sauce (沙爹牛肉) - this was OK, too... not much to write home about. 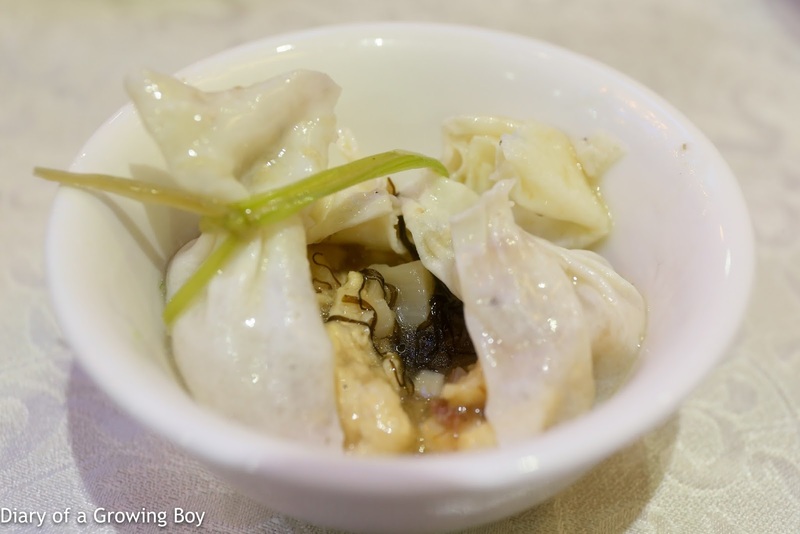 Diced chicken in pouch (菊花石榴雞) - I've had other dishes with diced ingredients wrapped up inside pouches before, but this was the first time that the pouch itself was made with egg white. Inside we had bits of chicken, hair moss, bamboo shoots, and ham. Too bad the chicken was overcooked. 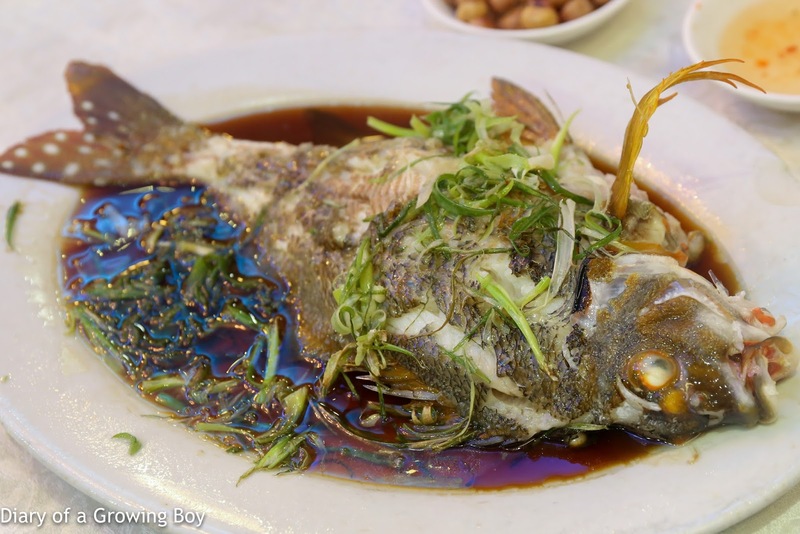 Steamed spottedtail morwong (蒸三刀魚) - given that we've just entered the three month-long 休漁期 - where fishermen stop going out to sea to give fishstock some breathing room - I wasn't expecting to get any decent seafood tonight. So imagine my surprise when we got ourselves a spottedtail morwong (三刀魚), which is a treasured fish on any given day. I didn't eat too much of the fish, but there were complaints from the table that the flesh wasn't as firm as it should have been - despite the fish being live. 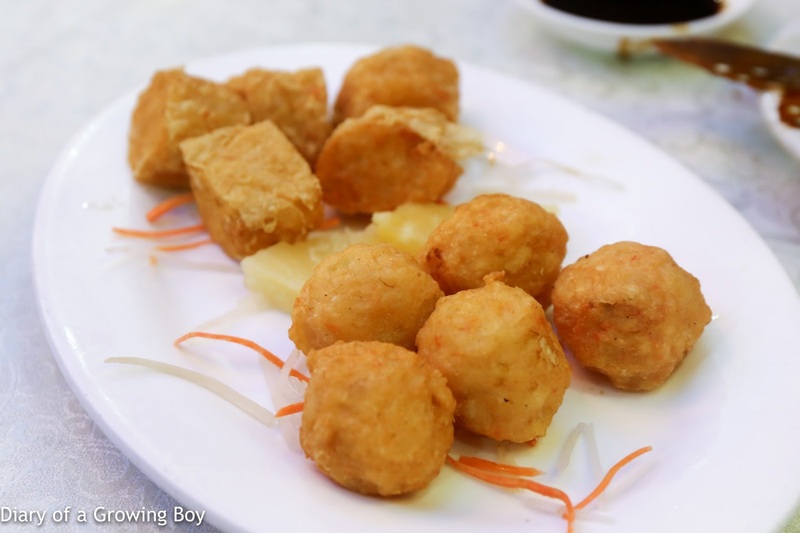 Deep-fried prawn and crab balls (炸兩棗) - the deep-fried crab balls (蟹棗) - wrapped in tofu skin - and the deep-fried prawn balls (蝦棗) are always tasty, with diced water chestnuts inside. 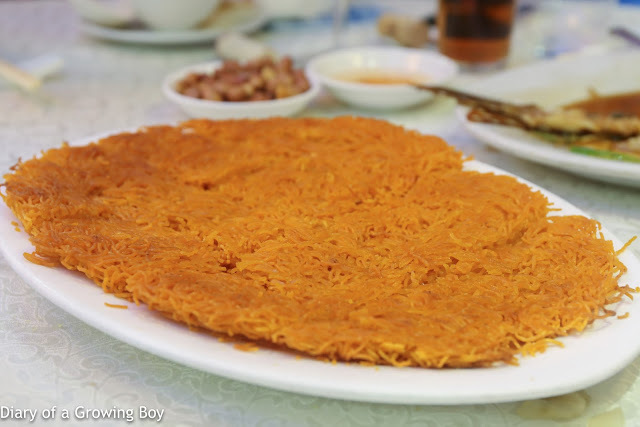 Crispy pan-fried noodles (糖醋麵) - can't leave without order this classic crowd-pleaser. 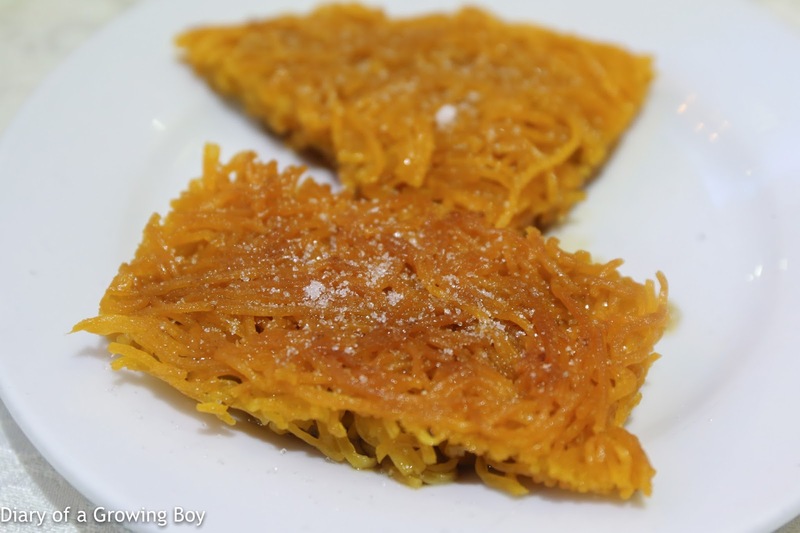 The noodles are pan-fried till crispy on both sides, and come simply with diced yellowed chives. Then one drizzles black vinegar and sprinkle sugar on top, and the sweet and sour flavors make the noodles pretty perfect. 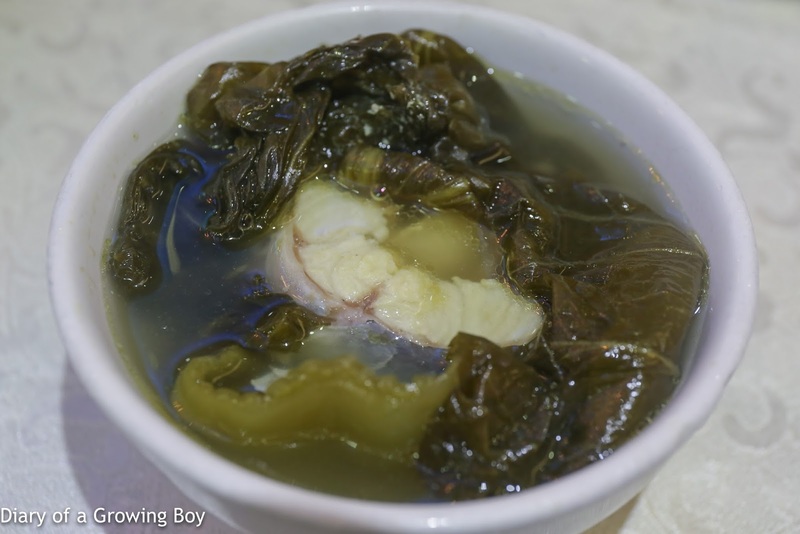 Mung bean soup with jelly (清心丸綠豆爽) - we asked for the jelly called 清心丸, and the restaurant very kindly obliged by adding them to our mung bean soup. While the soup was pretty decent on its own, it became much, much better once a spoonful or two of the accompanying sauce - made with green citrus peel - was added to the bowl. I wasn't planning on drinking tonight, but Hello Kitty decided to raise the question during the afternoon, so we ended up bringing a few bottles... as well as our own glasses. 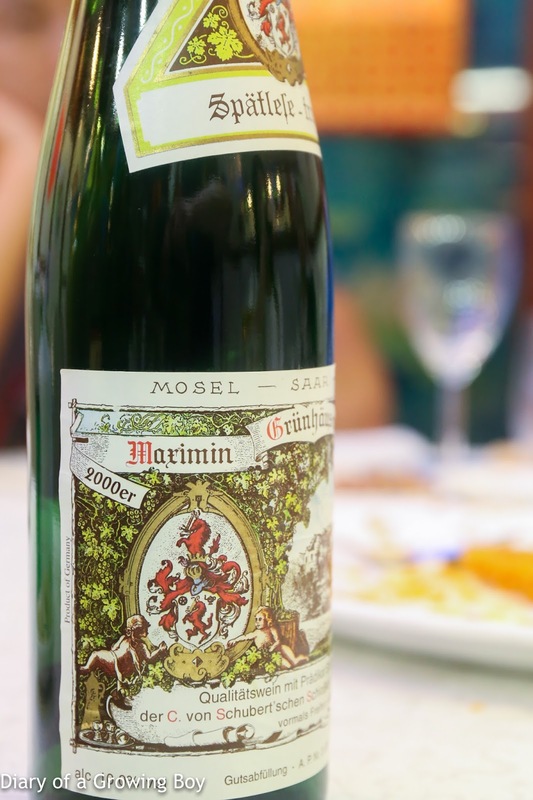 2000 von Schubert Maximin Grünhäuser Abstberg Riesling Spätlese-trocken - nice acidity, with petrol and flint in the nose. 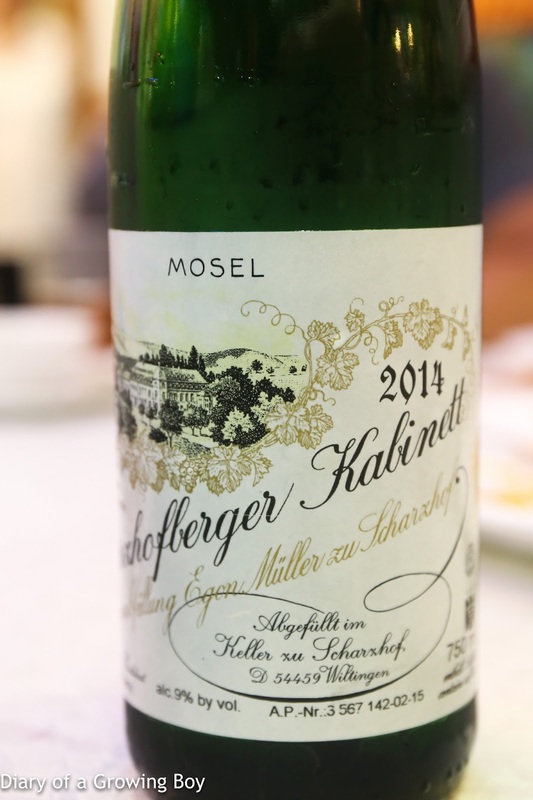 2011 Egon Müller Scharzhofberger Kabinett - almost a little green apple. 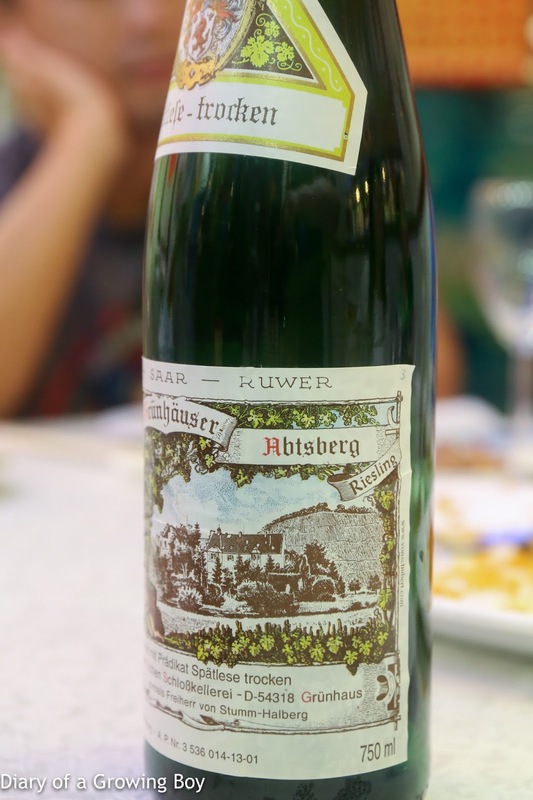 A hint of fizziness, and slightly sweet on the palate. 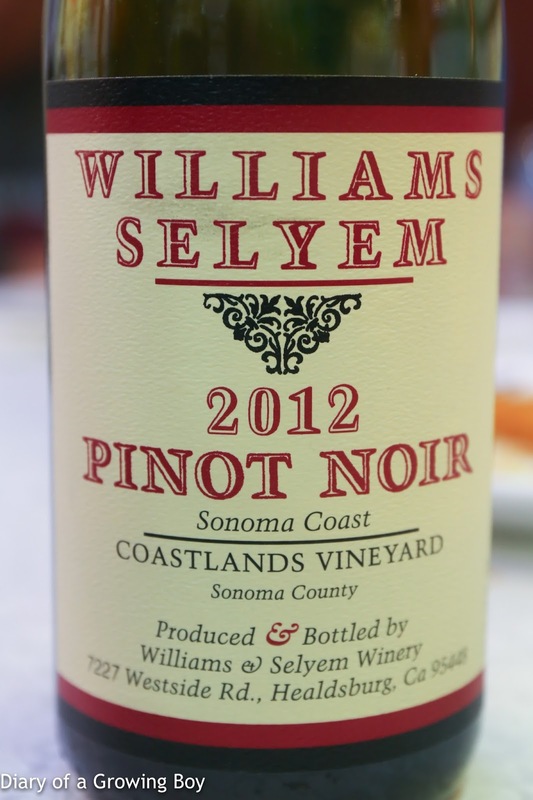 2012 William Selyem Pinot Noir Coastlands Vineyard - lots of sweet strawberries in the nose. Very ripe and lovely. The evening continued with drinks at Ro Ro's place. 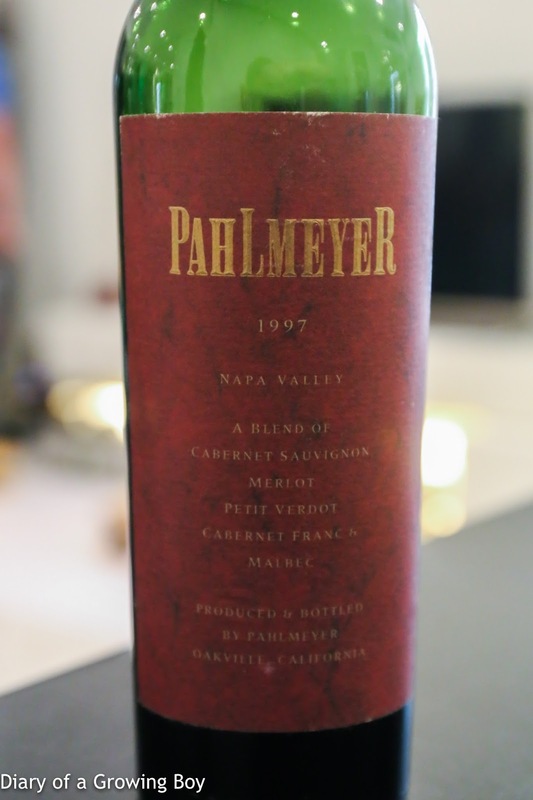 1997 Pahlmeyer Proprietary Red - opened for more than an hour prior to drinking. A hint of sweet grass, very minty, with cedar and some sweet fruit. Sharp alcohol in the nose that finally dissipated after about 2 hours. Smooth on the palate, but still very powerful and full-bodied. 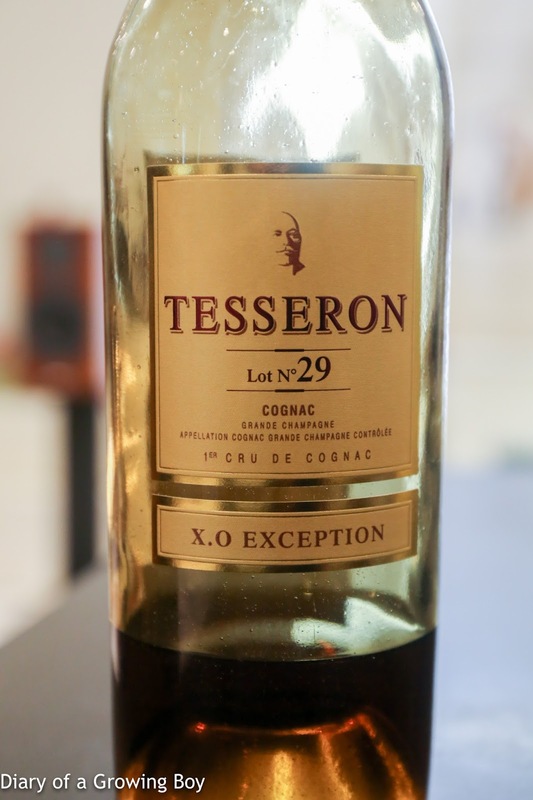 Tesseron Lot 29 X.O Exception - floral, raisins, a little nutty. Elegant but still powerful finish. 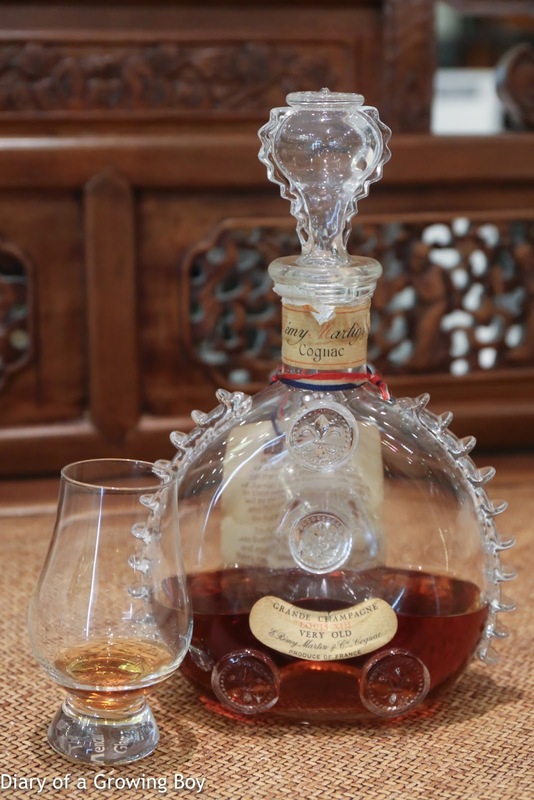 Remy Martin Louis XIII, believed to be from 1980s - very fragrant, floral, very sweet, very smooth on the palate with a slight kick on the finish.